Marc, Franz , 1880-1916, German painter. Influenced by August Macke, he developed a rich, chromatic symbolism. 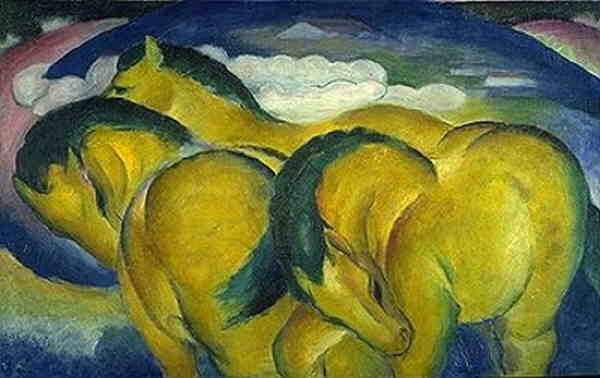 He depicted a mystical world of animals, especially horses, employing devices of distortion to express the animals' own awareness of their lives. Marc's pictorial conception of nature became increasingly abstract, resulting in the formation of colorful, crystalline patterns. Together with Kandinsky and Klee, Marc was a leader of the Blaue Reiter group.